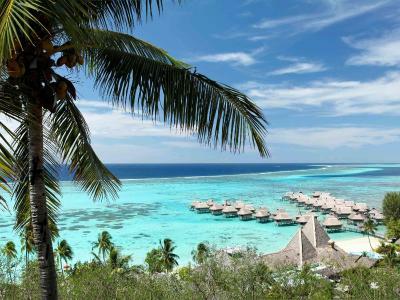 Lock in a great price for Sofitel Moorea la Ora Beach Resort – rated 8.8 by recent guests! The property reminds me of something out of a fairy tale - it was created at the water's edge of a tropical jungle and offers luxury bungalows with spectacular views and amenities. 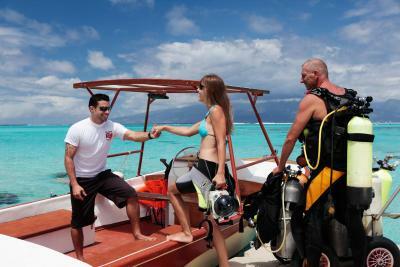 The beach and water are exceptional, offering water sports and a coral garden is a snorkeler's delight. Very simply, it is paradise on earth. We booked one of the overwater bungalows and were lucky to get one further away from the coast which made snorkeling even more exciting. The service exceeded our expectations too. One night we had made a reservation at K restaurant but it had to remain closed due to a heavy storm and wind. They ended up sending free champagne to our room to apologize (really I'm not sure why, since the weather was not their fault...). Bed was amazing, people very friendly and helpful, very nice. Beautiful grounds. Great snorkeling. Lovely beach. Spacious rooms. Our room over the water was great. Our family of ten only ate breakfast at Sofitel and it was very good. 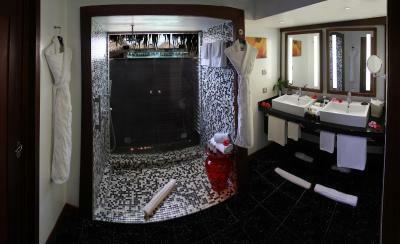 Without having to see the other properties, Sofitel felt boutique. Staff was extremely attentive, gracious, helpful and kind. 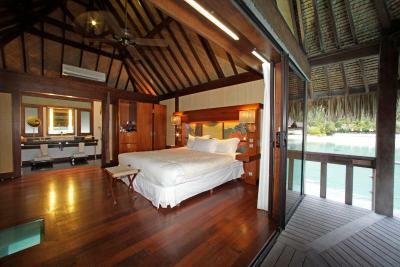 We stayed in an over-water bungalow and the experience was amazing. 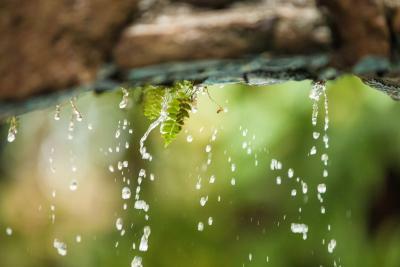 The ability to wake up, swim or stay up late and listen to the water lull you to sleep. Restaurants, shops and ATM were either a short cab ride away or you could cycle during the day time with the resort providing free bicycles. Green Pearl Golf Course was only 15 minutes away which was nice to view the course. The rooms were very big and spacious. The staff were very nice and always eager to help. The property was gorgeous. 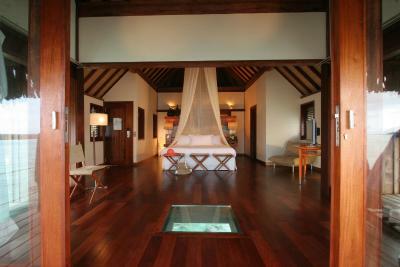 While I haven’t been to others hotels in the island, I doubt they can be any better than this one. 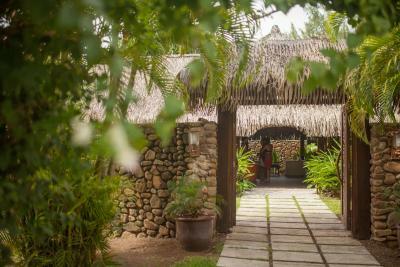 I heard a lot of comments stating that this is by far the most modern and beautiful hotel in the island. The cleanliness of the hotel is very much appreciated as well as the warm, polite, nice and enthusiastic staff that works there. 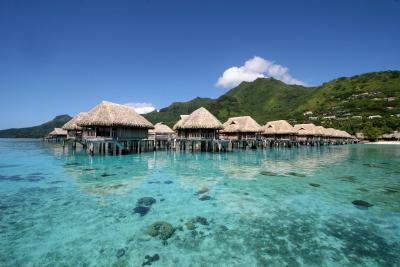 The bungalows over water are a dream make true!! 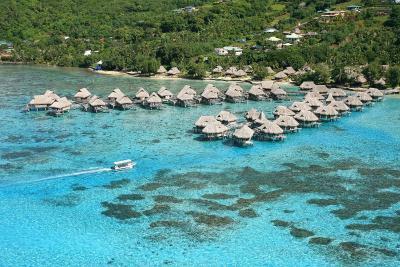 Sofitel Moorea la Ora Beach Resort This rating is a reflection of how the property compares to the industry standard when it comes to price, facilities and services available. It's based on a self-evaluation by the property. Use this rating to help choose your stay! 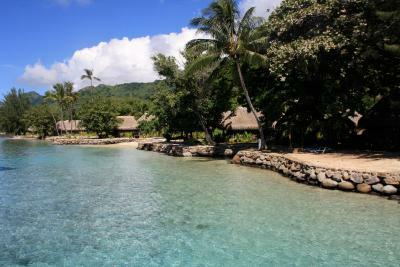 Sofitel Moorea Ia Ora Beach Resort is located on a picturesque white sand beach, and features spectacular views of the crystal lagoon and the iconic silhouette of Tahiti Island. 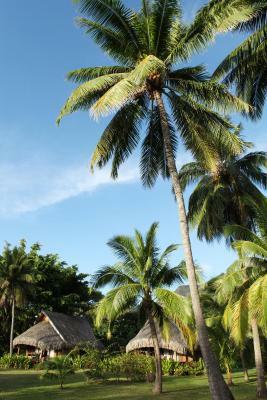 The elegant bungalows offer beachfront or garden views. The resort features an outdoor swimming pool and 2 restaurants. 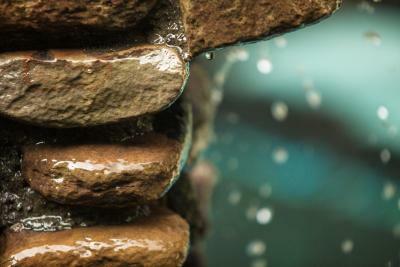 The bungalow accommodations is made from natural materials and features a rain shower. Every unit has an LCD TV and Sofitel's exclusive MyBed and features a free mini-bar with a selection of beers, sodas and water. 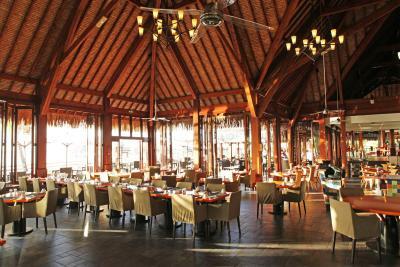 At K restaurant, guests can indulge in a striking fusion of local flavors and traditional French cuisine. 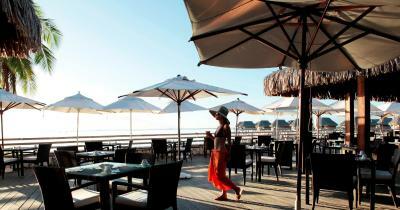 Pure restaurant offers stunning views and a sumptuous seafood menu. The poolside bar, and beach bar offer an beautiful setting to enjoy a drink. This property also has one of the top-rated locations in Maharepa! Guests are happier about it compared to other properties in the area. 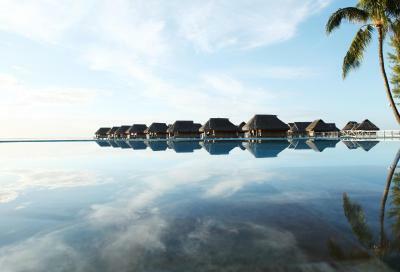 When would you like to stay at Sofitel Moorea la Ora Beach Resort? This air-conditioned room features cable TV and a mini-bar. 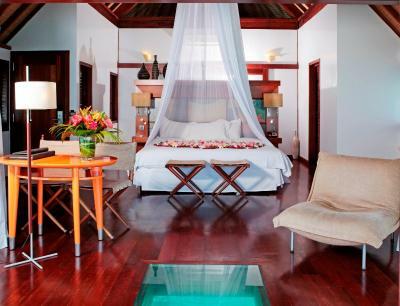 Lagoon view, large private terrace, sun loungers and direct access to the sea. 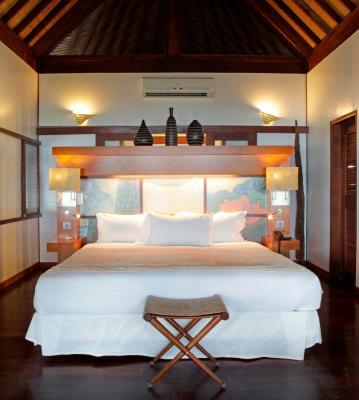 Please note children under the age of 12 cannot be accommodated in this overwater bungalow. Lagoon view, terrace and direct access to sea. 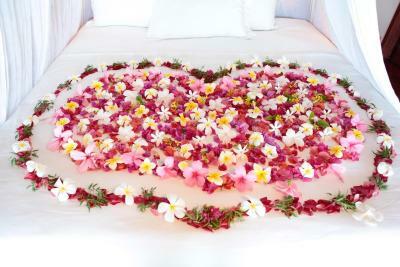 House Rules Sofitel Moorea la Ora Beach Resort takes special requests – add in the next step! 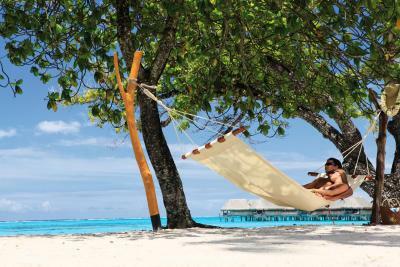 Sofitel Moorea la Ora Beach Resort accepts these cards and reserves the right to temporarily hold an amount prior to arrival. 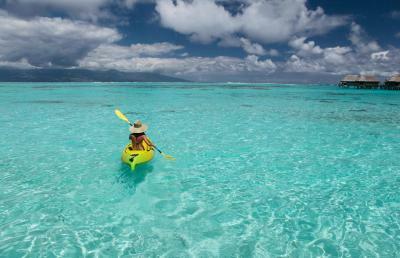 Please note that you can reach Moorea with a 30-minute ferry transfer from Papeete city center, departing hourly. 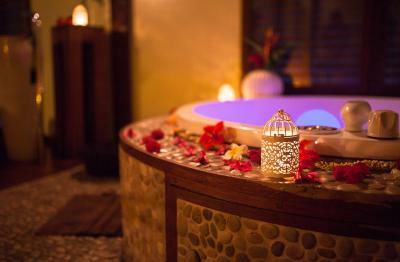 Guests can contact the hotel for more information using the contact details provided on the booking confirmation. The check-in process was long and full of mistakes on the staff part, but eventually all ok! Great egg station at breakfast with nice chef, free drinks in minibar, excellent spa! The quality of food is very good and the service provided is commendable. We experienced a number of hardware issues - unstable wifi, and AC - but the team was very helpful and tried to resolve our them to ensure we have a good stay. There were several activities onsite that you can choose from, and very near to the airport (2 mins). So it fid meet our expectations. One of the best restaurants is under construction, which limited our dinner choices on the property. 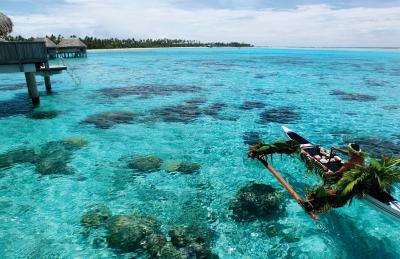 The good news is that the top restaurants on Moorea offer complimentary pickup and drop-off, which we took advantage of. Air condition very loud. Lizzards in the room. I can't think of any, it was perfect! Wish we had stayed longer. One thing to note, this resort is a bit further from most activities so it might be a barrier for those not renting a car. But we didnt mind and most activities offer to pick you up at the resort anyway. We loved our whole stay here. We moved to the Hilton for the second half of our trip and it doesn't compare to Sofitel. We wish we had stayed. We stayed in their Overwater bungalows and the views were just breathtaking and so unreal. The check in experience was awesome, and the whole staff (and everyone we interacted with in the resort) were just so friendly! We really don't have anything bad to say! The whole team made us feel very special staying there. Not enough variety of souvenirs at the shop. I (Mom and Grandmother) paid the bill for the entire ten day trip. I had to pay for four rooms for 2 families of four. The rooms were large and had a king size bed and sofa. A roolaway would have easily fit in and lowered the cost ($1,000 a night per room) & we could have stayed longer than 2 nights. Honestly we stayed in an over water bungalow and were really disappointed. We payed for the ‘standard’ bungalow which was more expensive than a one we had stayed at in a previous resort and were totally disappointed. The interior is badly laid out and outdated. The bungalow felt dark and dingy. We looked straight out into the Bungalows on the other side which was awful. Not private at all. Terrible layout. Also beware of cone shells! They can be poisonous. I feel that the resort definitely needs to raise more awareness of them as they were everywhere. The beach and the coral was the best we experienced on the whole island. We stayed on every side and this was the best place to stay for coral literally on your doorstep. The hotel is heavily into conservation which I was really happy to see. The beach was so long and spacious. Making you feel like you were the only two guests which was nice. The pool also had a fab unobstructed view of the sea. Less children here than another resort we had stayed at which was nice for us. The selection of restaurants were great. 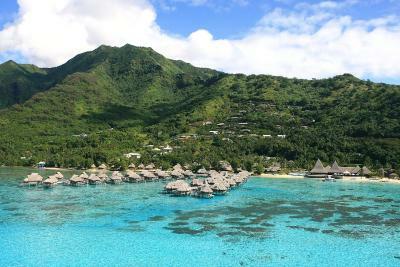 We eat out on the pier in the main restaurant and had the most stunning view of Tahiti as we watched the fish below us. This hotel hands down has the best dining experiences compared to the other resort we stayed in. Much more romantic with better service and food. This resort had the most boutique feel to it. Location of the resort was closest to the Ferry station which was convenient but being on the east side of the island we missed the sunsets. Also, the breakfast buffet lacked the variety I'd expect for the price, but you pay for convenience. The food wasn’t great and there weren’t too many options. The food was also very pricey for what it was. There was not a lot around our hotel so we had to walk about 3.5 km to have some decent food for way better prices. The room had too many lizzards that would shout at night, but thats part of the islands fauna. The swimming pool was too small, considering The amount of bungalows in the hotel. Staff was cold and somewhat indifferent. Food was horrible and over priced. We ate one lunch, sent back one meal and never ate at the resort again. I would not recommend this resort, overall, to anyone. Price-Quality balance is not good. This resort needs a lot of renovation and the staff is also not 5-star. Main restaurant service is poor. Beautiful location - like paradise! 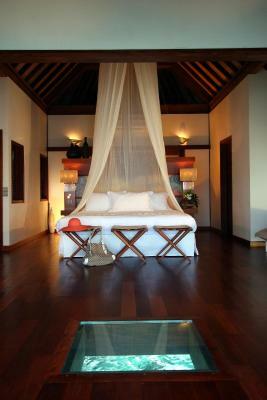 The overwater bungalows are very lovely.